What cases matter most to Justice Scalia? Speaking to a room full of legal minds, U.S. Supreme Court Justice Antonin Scalia said the cases he cares about most are the ones that deal with the structure of government. “The ones that I fall on my sword for are the cases that deal with… the real Constitution,” Scalia said Thursday at a breakfast gathering at the University Club in downtown San Diego. He explained that those cases usually pertain to issues such as presidential power and whether states could limit the terms of their federal delegates. And he said many countries have failed to focus on those issues effectively, despite guaranteed freedoms of speech, religion and assembly. When that happens, those rights are just words on paper. “Every tinhorn dictator in the world today has a Bill of Rights, every banana republic,” Scalia said. “The first thing you do when you seize power is to promulgate a bill of rights, and the so-called world community applauds… As long as the real constitution does not prevent centralization of power in one person or in one party you can ignore the bill of rights. This was the sixth time Scalia had spoken to a gathering hosted by the San Diego chapter of the Federalist Society for Law & Public Policy, a conservative law group. And clearly the longtime, and sometimes controversial, jurist was among friends and admirers. Attorney Robert Gaglione, who introduced Scalia at the breakfast event, called him a “rock star.” Chapter members and guests lined up at the end of the event to ask Scalia to sign copies of his latest book. Scalia was sworn in as an associate justice of the Supreme Court in September 1986. He was nominated by President Ronald Reagan. Scalia said that when deciding how to couch his remarks Thursday, he chose a similar message to one he often gives groups that visit the court. He said people tend to scoff at such gridlock without recognizing its purpose. At the end of his remarks, the justice took a few questions from the audience but quipped that he might not answer all of them. He spoke about the quality and growing cost of a legal education, state law vs. federal law, and increased polarization within nation’s highest court over the years since he joined. But despite those disagreements, the relationships endure. When Judge Richard Posner wrote the unanimous marriage-equality opinion for the U.S. 7th Circuit Court of Appeals Court in Chicago, he had words about Indiana, though he wasn’t talking personally to you. To be fair, he had similar words for Wisconsin, too, but it’s Wisconsin, so who really cares? It’s significant that the words were Posner’s because he was appointed by President Ronald Reagan in 1981, and his conservative, moderate credentials do not seem stained by partisanship. Remember when “moderate” was a word you could use about political conservatives? Who is he? He has written 40 books. The Journal of Legal Studies notes him as the most cited legal scholar of the 20th century. Posner is serious business. He’s publicly called out Supreme Court Justice Antonin Scalia for judicial illogic the same way that naughty children get sent to the principal’s office. We pause to offer a few insights about federal judges based on knowing a few of them. They don’t like their time wasted by idiots. They don’t like dumb arguments on big issues. They do not suffer goofballs easily. And if you insult a federal judge’s intelligence with inanity, they are likely to talk clearly about your being a doofus. In short, Posner, with the full support of his two fellow judges on the appeals court panel, called the governor of Indiana a dope and asserted that Indiana’s Legislature is occupied by dunces, too. He didn’t use those precise words. But for a federal judge, it was close enough. Technically speaking, the court was not talking directly to Indiana’s residents, but the message was delivered as a theatrical “sotto voce” performance. That’s when a stage character deliberately talks softly under his breath to send a signal to the audience. If you are relieved that the court was not calling you an idiot, don’t get too comfortable with that satisfaction. You elected the Legislature. You own it. Gov. Mike Pence, too. The state’s legal position also hinged on marriage being a cultural tradition. Don’t be silly, Posner wrote, marriage is not a cultural tradition like Halloween trick-or-treating. Then just to be sure his words were clear in the 40-page judgment, he tossed in the “suttee paradigm.” “Suttee” is the Hindu tradition of widows tossing themselves on their husband’s funeral pyre. This tradition is not imposed on husbands when their wives die, which would signal who invents Hindi traditions. Plus, he said, Indiana’s official governmental bias against gay citizens is based on a history of hatefulness. But the court made clear that Indiana’s position was too silly to be taken seriously, not the least because Indiana apparently does not understand the U.S. Constitution’s demand that individual rights to equal protection under law trumps tradition. The appeals court’s ruling almost assures that the Supreme Court will have to weigh in on gay marriage. Reading the tea leaves on that gaggle is tricky. But upholding marriage equality has been shouted loudly from most federal benches and, whatever its natural tendencies, the Supreme Court does not routinely ignore that. Inherent in the limited liability company structure is the right of owners, who are known as members, to participate in the management activities of the business. The jurisdiction in which you create the LLC provides the rights and authorities of an LLC manager if an operating agreement does not exist. In some instances, the rules governing managers diverge depending on whether the manager is an LLC member or a non-member employee. Many jurisdictions allow the LLC to file a statement of authority that provides the scope and limitations of authority of various managers of the business, regardless of whether the individual is an owner or employee. The statement provides sufficient notice to all parties in protecting the LLC from liability. Generally, these statements focus on the authority for managers to enter into real property transactions on behalf of the LLC or other business contracts that bind the company. In the event that a manager acts beyond the scope of authority, she may be personally liable to third parties for contracts. As most states allow a member to participate in management activities of the LLC by virtue of possessing a membership interest, jurisdictions view an LLC as being member-managed unless an operating agreement states otherwise. This provides each member with an equal voice in determining how to run LLC operations. In the event of a disagreement among members, a decision is binding when a majority of the members agree. However, if a member-manager acts outside the scope of ordinary business practices, that act is not binding on the LLC unless there is unanimous agreement among all members. Non-member managers who are employees of the LLC have similar authority as member- managers. However, most jurisdictions prohibit the employee from entering into contracts to sell all or a majority of the LLC’s property, to approve a merger or acquisition, from entering into transactions outside the ordinary course of business and from amending the operating agreement. Managers are not personally liable for engaging in these transactions if the members grant authority to them in the operating agreement, statement of authority or by unanimous consent. All managers, whether a member or non-member, must adhere to the jurisdiction’s minimum standards of conduct. These standards include fiduciary duties such as the duty of care and loyalty. A duty of loyalty requires the manager to conduct business and make management decisions with the best interests of the LLC in mind. A manager who seeks personal gain from potential business opportunities or competes with the LLC is personally liable for the resulting damage and loss of profits to the LLC. The duty of care requires a manager to refrain from acting in a grossly negligent manner. To be grossly negligent, the manager must act with flagrant disregard of the law or acceptable business practices, or act with indifference to the safety of others. A manager is personally liable to the LLC for grossly negligent acts that result in loss or damage to the business. Tuesday’s hearing suggested the 7th Circuit judges were wary of a federal court cutting off a state criminal investigation, being conducted under state law, and overseen by state courts. O’Keefe sat in the courtroom’s second row with his wife, Leslie Graves, who runs the Lucy Burns Institute in Madison (publishers of Ballotpedia, Judgepedia, and other sites). Sitting in front of O’Keefe was his dapper lead counsel, David Rivkin, a former attorney in George W Bush’s Justice Department perhaps best known for defending torture and the Iraq war. Documents released late last month showed the governor raising funds for WiCFG from out-of-state millionaires and billionaires, with the promise that the donations “are not disclosed,” according to a set of fundraising talking points prepared for Walker. One check to WiCFG, from billionaire commodities king Bruce Kovner, notes in the memo line that its purpose was for “501c4-Walker.” Common Cause Wisconsin director Jay Heck called it “unprecedented” for a Wisconsin governor to be involved in such activities. In January of 2014, the judge recently appointed to oversee the John Doe proceedings, Judge Gregory Peterson, temporarily sided with WiCFG’s and Walker’s narrow interpretation of Wisconsin law and quashed the subpoenas that had been issued to them. 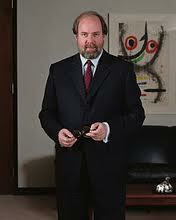 Easterbrook, a prominent conservative judge, appeared skeptical of WiCFG’s case. He pressed WiCFG’s attorney on whether they believed that coordinated issue advocacy was prohibited under Wisconsin law. The Club’s attorney stated their position is that the activity under investigation was legal, yet that federal constitutional intervention is also necessary. “It does seem to me an order saying you can’t tell your own story is a classic gag order and probably unconstitutional per se,” Easterbrook said. WiCFG’s long-shot lawsuit has cost Wisconsin taxpayers $672,000 in legal fees for the lawyers defending the career prosecutors. Less than a week later, there’s something worse in the news. A lawyer got sanctioned for his incompetent representation — then billed the sanctions to the client…. According to the Iowa Supreme Court Disciplinary Board, Davidson neglected to arrange for [his client] Deere’s complete answers during discovery in an employment lawsuit, failed to communicate to Deere the nature of the discovery dispute, and charged Deere for expenses as a result of his own acts or omissions. The disciplinary board goes on to note that “it was unreasonable to bill your client for sanctions which principally resulted from your own lack of diligence and communication.” You think? Sure Davidson reported himself to the Board for review — but only after his former partners discovered his behavior. Would he have come forward if his former partners never discovered it? I can only imagine the client’s reaction when they were told what had happened. They were paying their lawyer to represent them; he screwed up, got penalized for it by the court, and then billed the sanctions to them. Not exactly the type of behavior that builds strong relationships with clients. To the contrary, I would imagine it is the type of behavior that could destroy relationships with clients. Lawyers are among the few professions in society where there are explicit rules of professional conduct. Lawyers adopt these rules in order to help guide the behavior of the profession. Lawyer then swear oaths to uphold these rules. And it’s the oaths that lawyers, doctors, and the clergy take that differentiate them from other people. No banker swears to keep your secrets; no middle manager swears to uphold the truth. Billing clients for sanctions due to your own incompetence is the type of behavior that gives lawyers the type of reputation they often have. It’s the type of story that gets passed around to show that lawyers are unethical and take advantage of people. But it’s also an opportunity for other lawyers to stand up, point out the behavior, and plainly state that it is unacceptable. It’s important to let the public know that such conduct is an anomaly, not the norm. WASHINGTON — It’s not easy to prevent the Supreme Court from deciding an issue once the justices have agreed to hear a case. The advocates’ goal was to remove any chance that court conservatives might undermine a powerful legal doctrine the Obama administration and others have used increasingly to enforce the Fair Housing Act. While those last-minute settlements pushed the issue down the road, the Supreme Court could decide as early as this month whether to take up yet another case challenging so-called “disparate impact” lawsuits. In disparate impact cases, plaintiffs rely on statistics to show that seemingly neutral housing or lending practices can disproportionately harm racial minorities, even if there is no proof of intent to discriminate. The theory has been used for years to show bias in employment cases, but Texas officials are urging the justices to find that it doesn’t apply in housing discrimination cases. If the high court doesn’t take up the Texas case, at least two other cases are also moving through federal courts challenging the Department of Housing and Urban Development’s adoption last year of regulations that specifically recognize disparate impact claims in housing cases. “It became clear early on in the [Chief Justice John] Roberts court era that the best way for liberal groups to win before the Supreme Court on issues aside from gay rights is not to play,” said Rick Hasen, a professor at the University of California-Irvine School of Law. But Hasen said he doesn’t expect the game of keep away to last on the housing issue because opponents keep bringing legal challenges and the justices clearly are interested. Disparate impact has been used for more than four decades since the Supreme Court embraced it in a landmark employment discrimination case in 1971. But the theory has emerged in recent years as a centerpiece of the Justice Department’s effort to crack down on illegal housing practices. In the Texas case, a fair housing group alleged that the state’s system for handing out low-income housing tax credits had a disparate impact on racial minorities. A federal appeals court agreed that the group could use statistics to show the state was approving more low-income housing in black neighborhoods than in white areas. Such policies perpetuate segregated neighborhoods, fair housing advocates say. In 2012 the justices were poised to take on the housing issue in a Minnesota case questioning whether the city of St. Paul’s aggressive enforcement of housing code violations in low-income properties disproportionately affected black residents. But Justice Department lawyer Thomas Perez, now labor secretary, persuaded the city to drop its appeal. Perez has said the case, Magner v. Gallagher, contained “bad facts” because landlords of run-down apartments were trying to use the law to keep their tenants in squalor. Critics suggested the case revealed the flaws of disparate impact, making it a perfect vehicle to overturn use of the theory in housing cases. There is no indication so far of any settlement talks in the Texas dispute, though that could change if the Supreme Court decides at its Sept. 29 conference to hear the case. The Obama administration has not weighed in on the case. Gordon Anderson, spokesman for the Texas Department of Housing and Community Affairs, referred questions to the state attorney general’s office, which declined comment. What do satirist P. J. O’Rourke, Senator Marco Rubio, the National Football League and 100 law professors have in common? They each filed friend-of-the-court briefs with the U.S. Supreme Court during the 2013-14 term. All told, the court received more than 800 amicus briefs in the 67 argued cases with signed opinions. That’s 24,000 pages or 7.2 million words — “War and Peace” a dozen times over. For court watchers, this should come as no surprise. In recent years, the justices have had a record number of “friends.” But in this, our fourth year analyzing the high court’s amicus docket for The National Law Journal, we did find a few surprises. If 800 amicus briefs seems overwhelming, consider that the 2012-13 term had a record-breaking 1,001 briefs. While the 2013-14 term didn’t reach those historic proportions, amicus participation did reflect the new norm: “[A]n amicus brief is now filed in virtually every case the U.S. Supreme Court hears, and in big marquee end-of-June type cases amicus briefs will regularly number in the double digits.” Allison Orr Larsen, “The Trouble with Amicus Facts,” 100 Va. L. Rev. 10-11, (forthcoming 2014). Make that triple digits, if you count blockbuster cases decided together. The marriage-equality cases generated 156 amicus briefs in 2012-13 and the health care cases 136 briefs in 2011-12. Still, the 2013-14 term was in record-breaking territory with 82 amicus briefs filed in Burwell v. Hobby Lobby, the contraception-mandate case. Although there were fewer briefs than during the preceding term, the justices showed an increased reliance on them. In 2013-14 they cited amicus briefs in 60 percent of the cases with signed opinions that had amicus participation. That’s up from the 2012-13 term, when the justices cited amicus briefs in 53 percent of those cases, despite having more briefs to choose from. The solicitor general remained “king of the citation-frequency hill” in 2013-14. Joseph Kearney & Thomas Merrill, “The Influence of Amicus Curiae Briefs on the Supreme Court,” 148 U. Pa. L. Rev. 743, 760 (2000). The justices cited the government’s briefs in 54 percent of the cases in which the United States appeared as amicus, down from 67 percent in the preceding term. The court’s citations to “green briefs” — nongovernment amicus briefs — increased slightly. In 2013-14, the justices cited 8 percent of the 719 green briefs in about one-third of signed opinions. This was up from just 5 percent of the 907 green briefs in one-quarter of the opinions the prior term. Of course, a justice’s citation to a brief does not necessarily mean amici influenced the court. Academics long have tried to quantify the influence of amicus briefs, with little success. See, e.g., Helen A. Anderson, “Frenemies of the Court: The Many Faces of Amicus Curiae,” pp. 15-16, Soc. Sci. Research Network (2014) (discussing studies). Nevertheless, the fact that justices routinely cite so many briefs suggests they help in the court’s decision-making. WHO GETS NOTICED AND WHY? Like books, amicus briefs are sometimes judged by their covers — in particular the identity of the amicus and even the lawyers listed on the front of the briefs. Studies and experience suggest that briefs submitted by organizations known for quality submissions and written by established Supreme Court practitioners get more attention. Antonin Scalia & Bryan A. Garner, Making Your Case: The Art of Persuading Judges 103 (2008); Kelly J. Lynch, “Best Friends? Supreme Court Law Clerks on Effective Amicus Curiae Briefs,” 20 J.L. & Pol. 33, 46-56 (2004). That held true in the 2013-14 term. The U.S. Chamber of Commerce and the National Association of Criminal Defense Lawyers — long known for their outstanding briefs — were the only amici cited in multiple cases. Briefs by academics also get “closer attention — at least initially.” Lynch, at 52. Despite some criticism of “scholar briefs,” see Richard H. Fallon Jr., “Scholars’ Briefs and the Vocation of a Law Professor,” 4 J. Legal Analysis 223 (2012), the justices in 2013-14 cited law professor amicus briefs in 18 percent of cases. Most notably, the court kicked off the 2013-14 term by issuing an unusual order directing the parties to “be prepared to address at oral argument the arguments raised” in a professor’s amicus brief in Atlantic Marine v. U.S. District Court. “Justices’ Order: Read This Brief,” NLJ, Oct. 2, 2013. The court discussed the professor’s position in the opinion but ultimately declined to decide it. More than half of the green briefs cited by justices in 2013-14 were written by experienced Supreme Court practitioners. During argument in Halliburton v. Erica P. John Fund, for instance, several justices discussed an amicus brief by well-known advocate John Elwood. “Justices Might Shy from Overturning Class Action Precedent,” NLJ S. Ct. Brief, March 5, 2014. Ultimately, it’s still what’s inside that counts. Law clerks report finding amicus briefs most helpful in cases involving highly specialized or obscure areas of the law or in cases involving medical or scientific issues. Lynch, at 41-42. The justices in 2013-14 cited amici for information in technical legal areas, such as how a constitutional amendment gets on the ballot in Michigan (Schuette) or the content of compacts between states and Native American tribes (Bay Mills). They also cited amici on the criteria for defining mental disabilities (Hall) and the health aspects of contraceptive coverage (Hobby Lobby). A forthcoming law review article criticizes another common area of amicus citation: “legislative facts,” defined as “generalized facts about the world that are not limited to any specific case.” Larsen, at 2. Sure enough, the justices in 2013-14 cited amicus briefs for various legislative facts, such as how frequent-flier miles accumulate (Northwest), the data capacity of cellphones (Riley) and how 911 systems work (Prado Navarette). During the past four terms, the justices have varied — often significantly — in how often they cite amicus briefs in their opinions. See Franze/Anderson, NLJ S. Ct. Brief, Sept. 18, 2013; Franze/Anderson, NLJ, Sept. 24, 2012; Franze/Anderson, NLJ S. Ct. Brief, Aug. 24, 2011. In the 2013-14 term, Scalia — who in our past reviews was the justice least likely to cite amicus briefs — was the top amicus citer, referencing amicus briefs in nearly 60 percent of his majority, dissenting and concurring opinions. By contrast, Sotomayor, who averaged the highest citation rate for the past few terms, was near the bottom in 2013-14. Although no clear pattern emerges concerning whether a particular ­justice will cite an amicus brief, what does appear to influence citation rates is whether the case is divisive. In the 2013-14 term, the justices cited amicus briefs in 80 percent of their 5-4 decisions, compared to just 54 percent of cases in which the decision was unanimous. Anthony J. Franze and R. Reeves Anderson are members of Arnold & Porter’s appellate and Supreme Court practice. The firm represented amici in some of the cases referenced in this article. Deborah Carpenter helped compile these data. Today I have received dozens of reports who report that some hacker is attributing statements and actions made by me which are untrue and slanderous. We have one allegation about me somehow mishandling $350,000? I have no clue who the hacker is and certainly have not handled $350,000 improperly. Apparently there are other postings and allegations. I appreciate those friends who have alerted me to these false reports. I do have a FaceBook account but don’t even know how to use it. If anyone learns of the source of these slanderous statements please let me know. Courier-Journal makes allegations of improper Judicial Conduct by Jefferson District Court Judge McLaughlin. Other reports have been made against Judge McLaughlin. When will this conduct be sanctioned? In an article published Sept. 7, 2014 in the Courier-Journal, reporter Andy Wolfson makes allegations of improper judicial conduct by Jefferson District Judge Sandy McLaughlin. The reports on Judge McLaughlin, a former prosecutor, suggest her willingness to make statements which disclose her inability to be a “fair and impartial” judge. LawReader research reveals other allegations about Judge McLaughlin. It is alleged that Elaine Choa, Mitch McConnell’s wife gave Judge McLaughlin a maximum contribution to the McLaughlin campaign. There is no rule forbidding such campaign contributions, but the current election cycle has never had so many judicial candidates in advertising their close adherence to political parties. The Courier-Journal article once again presents the Kentucky Supreme Court with the problem of judicial races becoming politicized. The public is not served by SCR 3.130 which allows attorneys or judges who make comments about other judges. This rule, which has been repealed in Arkansas and Ohio, continues to exist, and criticism by Kentucky Lawyers is still forbidden. This year the Judicial Conduct Commission has received numerous reports about judges who have advertised their political support based on their party affiliation. So far the JDC has taken no action against judicial advertising which brags about Judicial Candidates political party affiliation and their endorsement by members of the Republican Party. In an online edition the Courier-Journal (Sept. 5, 2014) quotes Judge McLaughlin, admitting to having made inappropriate comments. Blogs are reporting on her alleged racist comments on court videos and violations of the Canons of Judicial ethics. She is alleged to have told one African American wearing an Obama T Shirt that “he was lucky to get out of her courtroom alive”. Louisville Courier Journal, Raw Story, WFBL articles WITH videos. In the Courier-Journal article it should be noted that Kentucky lawyers and judges have generally refused to disclose their opinions about Judge McLaughlin. One reason for this silence by the attorneys and judges who are most aware of the allegations against Judge McLaughlin is Supreme Court Rule 3.130 which forbids any Kentucky attorney from questioning the “competence or integrity” of a “public legal office, or a judge, if the statement is false. This SCR even forbids Ky. Attorneys from making true but “reckless” claims against Judge McLaughlin. In the John M. Berry case, the KBA sought a sanction against former State Senator John Berry for stating that the Legislative Ethics Commission improperly closed an ethics hearing against then Senator David Williams. The bar spent $400,000 to try to sanction Berry. While the Sixth Circuit Court of appeals ruled in favor of Senator Berry, it did not repeal SCR 3.130. So the Kentucky Supreme Court continues to allow incompetence and bias of sitting Judges from being revealed to the public. We salute the research of reporter Andy Wolfson. Other reports of Judicial Candidates making political statements and advertising their party affiliation have apparently been ignored by the Judicial Conduct Commission during the current election cycle. Chief Justice Minton reports on court system’s achievements in 2014 State of the Judiciary Address – calls for pay raise for Judges! Read Chief Justice Minton’s address. FRANKFORT, Ky. – Chief Justice of Kentucky John D. Minton Jr. gave the legislature “good news about how our court system is making great strides on many fronts” during the annual State of the Judiciary address today in Frankfort. His remarks took place before the General Assembly’s Interim Joint Committee on Judiciary. The full address can be found here. Chief Justice Minton said that technology is key to the long-term viability of the court system and reported on the new applications and tools being launched by the Administrative Office of the Courts. After years of planning and programming, Kentucky is joining the federal courts and other state courts that offer the ability to file court cases electronically. eFiling saves time and money over the paper system and will be available in all 120 counties by the end of 2015. In addition, the new CourtNet 2.0 application pairs the ability to access Kentucky civil and criminal cases online with sophisticated search and security functions. “Now that our efforts are coming to fruition, it’s exciting to see how these sophisticated new resources are going to revolutionize the practice of law in Kentucky,” he said. He noted that Kentucky’s Pretrial Services program is being recognized nationally for reducing crime by 15 percent among defendants on pretrial release while also increasing the number of defendants released before trial. These results reflect the first six months that judges statewide have used a public safety assessment tool to better predict when defendants can safely be released pending trial. In other updates, Chief Justice Minton said that Senate Bill 200, which reformed Kentucky’s juvenile justice system, is a victory for the children and families of Kentucky. He said the court system is working hard to implement the requirements of this new legislation. He also outlined several proposals that would address the changing needs of Kentucky Drug Court. These include improving services for the high-risk/high need population, adopting evidence-based practices and offering an expungement process for Drug Court graduates. He announced that Kentucky now has a means to investigate and review complaints against circuit court clerks, the elected court officials who maintain records for Circuit Court and District Court. The Circuit Court Clerk Conduct Commission was formed in 2013 and the Circuit Court Clerk Code of Conduct was established in 2014. He also said the AOC has contracted with the National Center for State Courts to conduct a judicial workload assessment in an effort to quantify the caseloads of judges so that any changes that might be proposed in the future will be based on a comprehensive, statewide study. The meeting took place at the new facilities of the Administrative Office of the Courts at 1001 Vandalay Drive in Frankfort. The AOC moved into its new building in November 2013 as a cost-savings measure after leasing space elsewhere in Frankfort for many years. With the move, the AOC owns its building for the first time and will save approximately $1 million a year in lease payments. The AOC is the operations arm for the state court system. The AOC supports the activities of nearly 3,300 Kentucky Court of Justice employees and 403 elected justices, judges and circuit court clerks. The AOC also executes the Judicial Branch budget. The Forensic Panel strongly encourages legislators of other states to follow the example of Illinois, and for the National Commission on Forensic Sciences, the U.S. Department of Justice, National Association of Criminal Defense Lawyers, the American Academy of Psychiatry and the Law, and the American Academy of Forensic Sciences to endorse and promote laws that bring the credibility of transparency – finally — to forensic psychiatry and psychology. [JURIST] A federal judge ruled [order, PDF] Thursday that an Ohio law that cut down the 35 days of early in-person voting violates the US Constitution and the Voting Rights Act. US District Court Judge Peter Economus ordered Ohio to restore the full 35 days, including the “golden week” where residents can register to vote and cast early ballots on the same day. The lawsuit was filed after the state legislature in February approved a law that truncated the 35 day period to 28, and eliminated the “golden week.” TheAmerican Civil Liberties Union (ACLU) filed the suit on behalf of the Ohio Chapter of the NAACP and the League of Women Voters of Ohio [advocacy websites], arguing that it would suppress minorities and the impoverished. Judge Economus agreed, finding that the plaintiffs demonstrated a strong likelihood that the legislation would decrease the amount of opportunities for African Americans to participate in the electoral process. “This ruling will safeguard the vote for thousands of Ohioans during the midterm election,” said Dale Ho, director of the ACLU’s Voting Rights Project[statement]. “If these cuts had been allowed to remain in place, many voters would have lost a critical opportunity to participate in our democratic process this November. This is a huge victory for Ohio voters and for all those who believe in protecting the integrity of our elections.” Early voting in Ohio is scheduled to begin on September 30. Voting laws have been a contested subject in the US recently, especially voter ID laws [JURIST backgrounder]. Last month, a federal judge denied a request [JURIST report] by Wisconsin’s Attorney General JB Van Hollen to stay the April ruling against the state’s voter identification laws. Earlier in August the Wisconsin Supreme Courtruled [JURIST report] 4-3 in favor of Act 23, further complicated the voter ID situation in the state. In order for the voter ID requirements to take effect in time for November’s elections, the US Court of Appeals for the Seventh Circuit must overturn the District Court’s ruling. In May Pennsylvania Governor Tom Corbettannounced [JURIST report] that the Office of General Counsel would not pursue an appeal in defense of the Commonwealth’s voter identification law. The law, passed in March 2012, required all voters to submit a government issued photo ID in order to vote in all elections. In April a judge for the Pulaski County Circuit Court for the 6th Division struck down [JURIST report] an Arkansas voter ID law, finding that it violates the state constitution. In October the Tennessee Supreme Court unanimously rejected [JURIST report] a movement to overturn the Tennessee Voter Identification Act, ruling that a requirement of government-issued photo ID for voters is constitutional. HARRISBURG — Pennsylvania’s chief justice wants the state Supreme Court to ban lawyers at an organization that currently handles many appeals by convicted murderers on the state’s death row. Chief Justice Ronald Castille took that position in a rare single-justice opinion issued late Wednesday that resolved a number of issues surrounding a decision he wrote three years ago. In both opinions, Castille took aim at the Philadelphia-based Federal Community Defender Office, writing that the group has engaged in abusive and unethical practices that warrant removing its lawyers from all Pennsylvania cases. Pennsylvania has 181 men and three women on death row. It has executed three people since the death penalty was reinstated in the 1970s; all three had relinquished their appeals. The state’s last execution was in 1999. The Federal Community Defender’s Office is a division of the Defender Association of Philadelphia, which responded forcefully Thursday evening to the justice’s criticism. In a statement, association Chairman David Rudovsky and the group’s lawyer, David Richman, said the office’s defense lawyers have succeeded in obtaining new trials or new sentences for defendants in an extraordinary number of cases. Castille described in detail the high court’s effort to determine the group’s use of federal grant money to finance post-conviction appeals in state courts. The federal money is limited to pursuit of federal habeas corpus claims that cannot begin until state appeals are exhausted, but the organization routinely gets involved in county court proceedings. Castille said that violates federal law and federal court precedent. “It insinuates itself into the role of de facto statewide defender in capital cases, claiming to this court that it is acting solely as a privately funded entity which need not answer to any Pennsylvania authority, and then claims, when put to the proof, that it is effectively a ‘federal officer’ and cannot be asked for an accounting,” the chief justice wrote. He also said the attorneys can overwhelm courts, causing delay after delay. Three years ago, Castille made similar criticisms in the same case, the murder conviction of Mark Spotz. Spotz was convicted in York County court in 1996 for kidnapping, robbing and brutally murdering Penny Gunnet, 41, of New Salem during a cross-state killing spree that spanned 48 hours between late January and early February 1995. He was tried separately and convicted in three different Pennsylvania counties for killing his brother and two other women. He was convicted of first-degree murder and sentenced to death for each woman he killed..
A spokeswoman from the Administrative Office of United States Courts, which apparently provides much of the defender office’s funding, declined to comment on Castille’s opinion. The lead prosecutor in Spotz’s Cumberland County case said concerns about the group are widespread among district attorneys. “What it boils down to, for us, is that we certainly advocate zealously and understand zealous advocates on the other side, but we do it within the rules — and it’s abundantly clear they don’t,” said District Attorney Dave Freed. Marc Bookman, director of the Atlantic Center for Capital Representation, who also represents death penalty defendants in Pennsylvania, said his group and the Federal Community Defender Office both try to give the best possible representation for those facing execution. “Three justices from Justice Castille’s own court labeled the Pennsylvania death penalty in ‘disarray’ — given these real problems, the amount of time and energy Justice Castille is personally putting into this issue is surprising,” Bookman said in an emailed response. In July, two Republican judges on the United States Court of Appeals for the District of Columbia Circuit handed down a decision defunding much of the Affordable Care Act (ACA). This effort to implement Sen. Ted Cruz’s (R-TX) top policy priority from the bench waswithdrawn on Thursday by the DC Circuit, and the case will be reheard by the full court — a panel that will most likely include 13 judges. In practical terms, this means that July’s judgment cutting off subsidies to consumers who buy insurance plans in federally-operated health exchanges is no more. It has ceased to be. It is, in fact, an ex-judgment. The reason why this matters is because the plaintiffs in this lawsuit, known as Halbig v. Burwell, are hustling to try to convince the GOP-dominated Supreme Court to hear this case, where they no doubt believe that they have a greater chance of succeeding than in the DC Circuit, as a majority of the active judges in the DC Circuit are Democrats. The Supreme Court takes only a tiny fraction of the cases brought to their attention by parties who lost in a lower court — a study of the Court’s 2005 term, for example, found that the justices granted a full argument to only 78 of the 8,517 petitions seeking the high Court’s review that term. The justices, however, are particularly likely to hear cases where two federal appeals courts disagree about the same question of law. Two hours after the divided DC Circuit panel released its opinion attempted to defund Obamacare, a unanimous panel of the Fourth Circuit upheld the health subsidies that are at issue in Halbig. Thus, so long as both decisions remained in effect, Supreme Court review was very likely. Now that the full DC Circuit has vacated the two Republican judges’ July judgement, Supreme Court review is much less likely. Although it is possible that the full DC Circuit could agree with the two judges who voted to cut off health subsidies to millions of Americans, this outcome is unlikely. The plaintiffs’ arguments in this case are weak and are unlikely to move judges who do not have a partisan stake in undermining the Affordable Care Act. If the full DC Circuit agreed to hear the case, however, that “would cause delay without providing any certainty,” because the Supreme Court may ultimately decide to take the case. On the surface, this argument may have some appeal, but it collapses upon a fairly minimal amount of scrutiny. It would indeed be disruptive if much of the Affordable Care Act were defunded, and the existence of this lawsuit does raise some uncertainty over whether or not that will happen. It would be even more disruptive, however, if President Obama were deposed because the Supreme Court held that he was born in Kenya, or if the federal tax code were held unconstitutional, or if people could immunize themselves from the law bydeclaring themselves “sovereign citizens.” If the mere fact that a plaintiff raises a potentially disruptive legal argument were grounds for removing all obstacles to immediate Supreme Court review, then the Court’s docket would be clogged with cases brought by birthers, tax protesters and sovereign citizens. The reason why this doesn’t happen is that the justices typically use the lower courts as a mechanism to screen the few cases raising issues that are difficult enough to warrant Supreme Court review from the vast bulk of cases that do not. This is one reason why the justices tend to hear cases where two courts of appeals disagree — because that disagreement is a sign that the case is sufficiently challenging that it requires a definitive ruling from the nation’s highest Court. When the full DC Circuit announced they would rehear the case, by contrast, that was an indication that the two Republicans who blocked the subsidies may be outliers who reached an idiosyncratic result in an easy case. The fact that all six of the other judges who have considered the Obamacare subsidies have also upheld them also lends credence to this view. Perhaps recognizing that their legal arguments against further DC Circuit review were not likely to carry the day, Obamacare’s opponents turned to the conservative press to litigate their case in the media. A full hearing by a federal appeals court, what is known as an “en banc” hearing, is an unusual proceeding. But the Federal Rules of Appellate Procedure provide for en banc review when a case “involves a question of exceptional importance.” The plaintiffs in this case admit that “[t]here is no doubt that this case is of great national importance” in their most recent brief to the court — so they actually admit that this case warrants en banc review. Additionally, the official commentary on the federal rule dealing with en banc hearings explains that “[i]ntercircuit conflict is cited as one reason for asserting that a proceeding involves a question of ‘exceptional importance,’” so that is a second reason why this case was a prime candidate for en banc review. Now that the DC Circuit has ignored these attempts to scare them off with accusations of partisanship, this case no longer meets the usual criteria for Supreme Court review. ANGELA FORD MAY HAVE TO DISCLOSE THE NAMES OF ATTORNEYS WITH WHOM SHE SHARED FEN PHEN GARNISHMENT FEES. Recently Lexington Fen Phen attorney Angela Ford obtained a summary judgment against Stan Chesley. The judgment by the Boone Circuit Court ruled that Chesley was jointly liable for claims of the Fen Phen plaintiffs regarding excessive fees. This could cost Chesley up to $25 million. Surely Chesley will have the right to learn how much money and assets were actually seized from the Fen Phen attorneys, and how much the liability of Chesley might be. Ford has filed two appeals to the Sixth Circuit Court of Appeals to obtain rulings that her sharing of funds with other attorneys was not discoverable. However with this judgment in the Boone Circuit Court, it would appear that Chesley now has the right to discover exactly how much was collected from the sale of Gallion, Cunningham and Mills assets, and distributed to the Fen Phen plaintiffs, and how much was paid to the attorneys she hired to garnish an seize those funds. In an interview with Andy Wolfson of the Courier-Journal, Ford admitted several years ago that she shared her fees with other attorneys. She has refused to disclose who those attorneys were and how much they were paid. The obvious question is whether or not the KBA Bar Counsel’s husband, was employed by Angela Ford to recover and seize the assets of the Fen Phen attorneys at the time the KBA was prosecuting Chesley, Gallion, Mills and Cunningham for unethical behavior in overpaying themselves. The KBA Board of Governors has never disclosed to the public why they summarily discharged the Bar Counsel Linda Gosnell in Nov. 2012. Chesley may be the only person who has the right to pursue this question with any chance of getting an answer. Chesley may argue that it was a conflict of interest for the Bar Counsel’s husband to be profiting from the ethical prosecutions brought by his wife Linda Gosnell, against Gallion, Cunningham, Mills and Chesley. Of course, Ford could possibly clear the former Bar Counsel and her husband, if the disclosure of her fee sharing excludes the husband of the former Bar Counsel from the distribution made by Angela Ford. FRANKFORT, Ky., Sept. 2, 2014 – Chief Justice of Kentucky John D. Minton Jr. is scheduled to present the 2014 State of the Judiciary address before the General Assembly’s Interim Joint Committee on Judiciary on Friday, Sept. 5. The meeting will take place at 10 a.m. EDT in the main conference room at the Administrative Office of the Courts, 1001 Vandalay Drive, Frankfort. The meeting is open to the public and the media. Chief Justice Minton will discuss the Judicial Branch’s recent accomplishments, particularly as they relate to advances in court technology. He will also highlight some of the challenges facing the state court system. NKBA The Nuts & Bolts of Kentucky Adoption Law CLE ~Presented by Jennifer Raines Dusing, Esq. 8:00 Dinner & Program with Silent Auction ending at 10:30 p.m. The Florida Bar said it stands behind its position that judicial candidates should not personally solicit contributions, but that appellate courts across the country have taken differing positions. When Lanell Williams-Yulee began running for a Hillsborough County judgeship in 2009, she signed a letter to would-be supporters seeking contributions for her campaign. Now, five years later, Williams-Yulee’s letter could spur the U.S. Supreme Court to wade into a First Amendment debate about whether it is constitutional for Florida and other states to bar judicial candidates from personally soliciting campaign contributions. Williams-Yulee’s attorneys have asked the U.S. Supreme Court to take up the issue, after the Florida Supreme Court in May rejected arguments that the ban is unconstitutional and found that Williams-Yulee violated a code of conduct. The possibility of the U.S. Supreme Court taking up the issue got a boost last month when The Florida Bar — which filed the complaint against Williams-Yulee — also urged the high court to resolve the matter. The Bar said in an Aug. 22 brief that it stands behind its position that judicial candidates should not personally solicit contributions, but that appellate courts across the country have taken differing positions on the issue. The Florida Supreme Court, in a 5-2 ruling May 1, reiterated earlier positions that the ban on judicial candidates soliciting money “promotes the state’s compelling interests in preserving the integrity of the judiciary and maintaining the public’s confidence in an impartial judiciary, and that it is narrowly tailored to effectuate those interests.” Chief Justice Jorge Labarga and justices Barbara Pariente, R. Fred Lewis, Peggy Quince and James E. Perry were in the majority, while justices Charles Canady and Ricky Polston dissented. It remains unknown whether the U.S. Supreme Court, which receives thousands of requests a year to hear cases, will take up the matter. The briefs were posted last week on the website SCOTUSblog. While judicial candidates are barred from personally soliciting contributions, they can establish committees that are allowed to raise and spend money. The June brief filed by Williams-Yulee’s attorneys says 39 states use some form of electing judges, with 30 having laws or rules aimed at preventing personal solicitations of contributions. It said 22 of the 30 are “blanket” prohibitions, similar to the Florida ban. Williams-Yulee, who lost her bid to become a Hillsborough County judge, received a reprimand in the Florida Supreme Court decision. Her attorneys, including a Yale Law School faculty member and attorneys from Washington and Orlando, contended in the brief that the case presents a good “vehicle” to resolve the issue nationally.